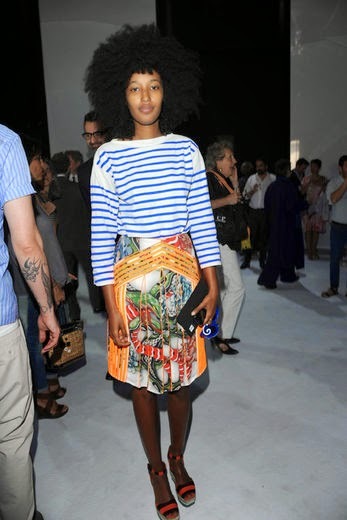 Julia Sarr-Jamois is one of my major style icons. 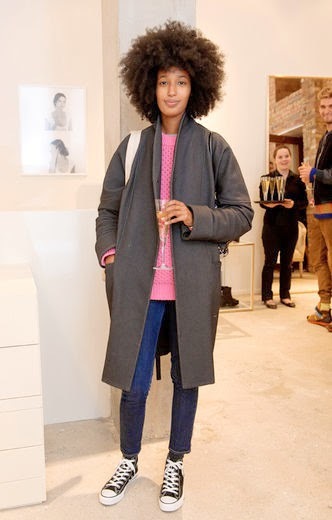 I could gush about this lady's style forever. Sarr-Jamois started out as a fashion model, then made the move into more behind-the-scenes work as as an assistant at i-D Magazine. Today, she is the fashion editor of Wonderland Magazine, and real force to be reckoned with in the fashion world. Where does even start with what's to love about Julia's style? For one, her style seems effortless, but still perfectly put together. 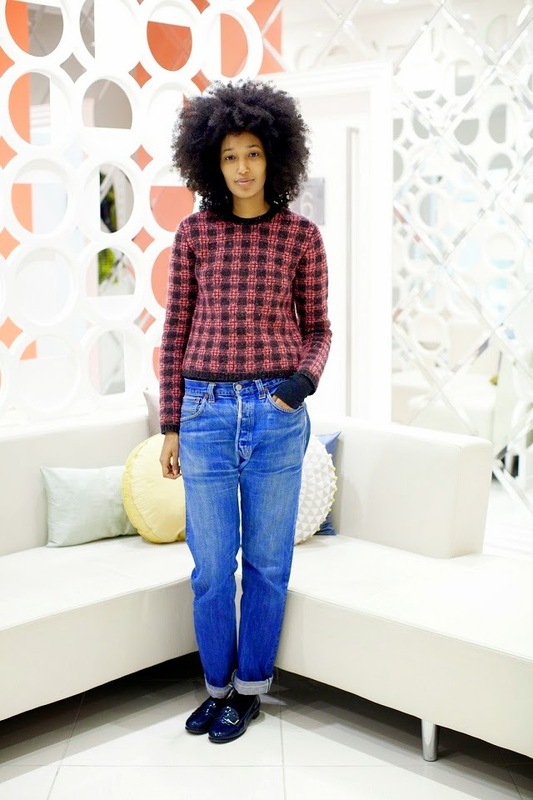 She pairs cozy sweaters with boyfriends jeans and loafers and makes it look so darn chic. The best print mixers I know are my grandma, mum, and sister. I'd dare say that West African women in general have a knack for this art. Sarr-Jamois is one of the few people in mainstream fashion who in my humble opinion mixes prints, patterns and textures successfully and wears them well too. It's no wonder, since she is half Senegalese, haha! She exudes this vibe of classy cool (if that makes any sense). And let's not forget that beautiful 'fro. I love that she lets it do its gravity-defying thing. 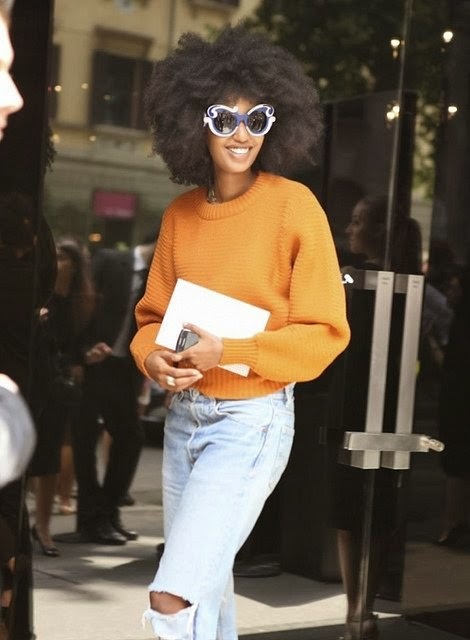 I imagine this cannot always be the easiest thing in a very Eurocentric fashion world, but as editor at a prominent fashion publication, she does not seem buy into the whole ruse that Afros are unprofessional.